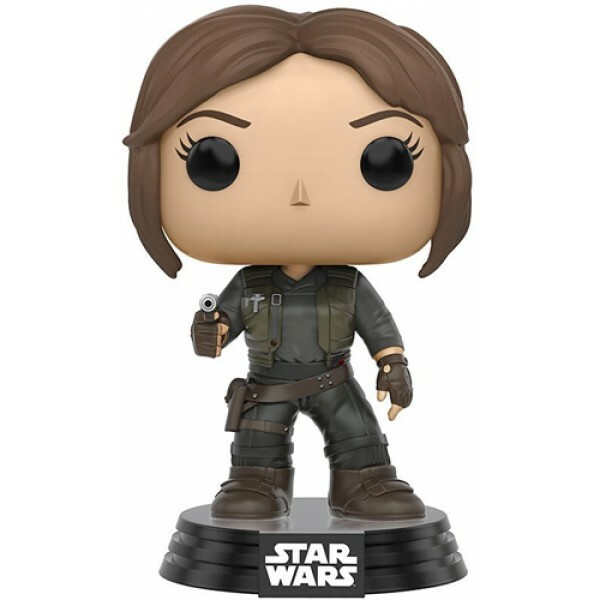 Daring Rebellion agent Jyn Erso from Rogue One: A Star Wars Story gets the stylized Funko POP treatment in this new fgure! 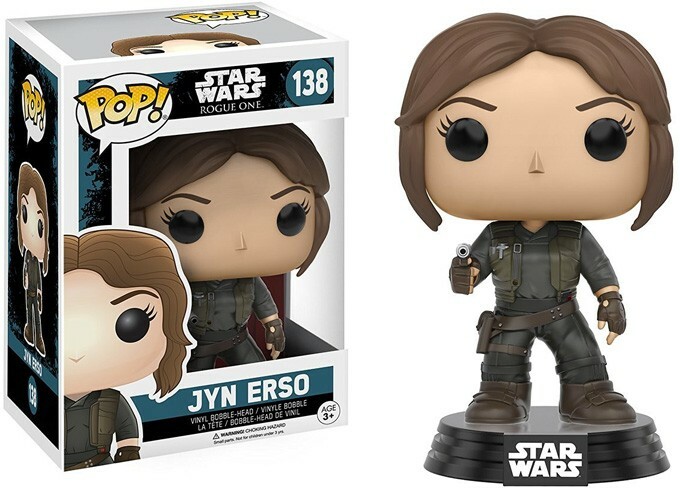 Jyn Erso appears holding her blaster on a pedestal base. These 3 3/4 inch figures are just the right size to display on a desk or shelf -- or, if you prefer to keep them sealed, in their window box. 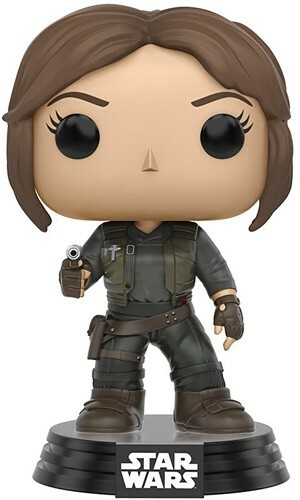 For more female characters to add to your Funko POP display, visit our Funko Collection.